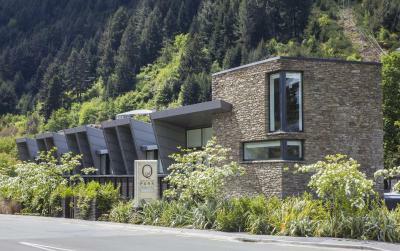 Queenstown Park Hotel is a luxury boutique hotel with panoramic alpine views, surrounded by parkland. It is a 5-minute walk to the centre of Queenstown. Free Wi-Fi and parking is available. The stylish rooms are well-furnished and have kitchenettes. 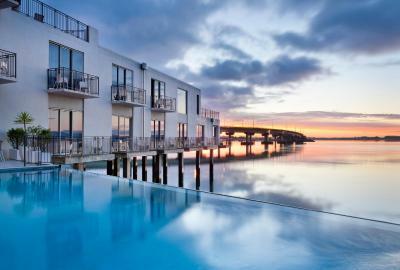 ASURE At Eden Park is conveniently located on the edge of Auckland's city centre, directly opposite Eden Park. 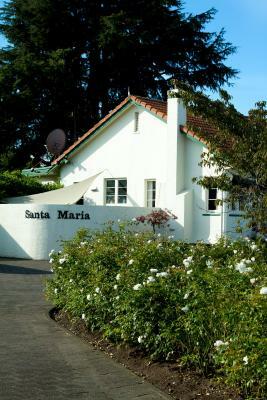 Offering modern motel-style accommodation, it features rail and bus transport on the doorstep. Wake up to breathtaking ocean views at Coastal Heights Apartment and Bed & Breakfast. This spacious accommodation offers free WiFi and free parking. Just 50 metres from Wharf Casino and Lake Wakatipu, The Lofts Apartments offer a private balcony or patio and a full kitchen. Some apartments also offer stunning lake and mountain views. Just a 5-minute walk from local restaurants and cafes, Hawera Central Motor Lodge offers studios and apartments with cooking facilities and 42-inch LED TV with satellite channels. Guests can enjoy free Wi-Fi access and free access to the local gym.